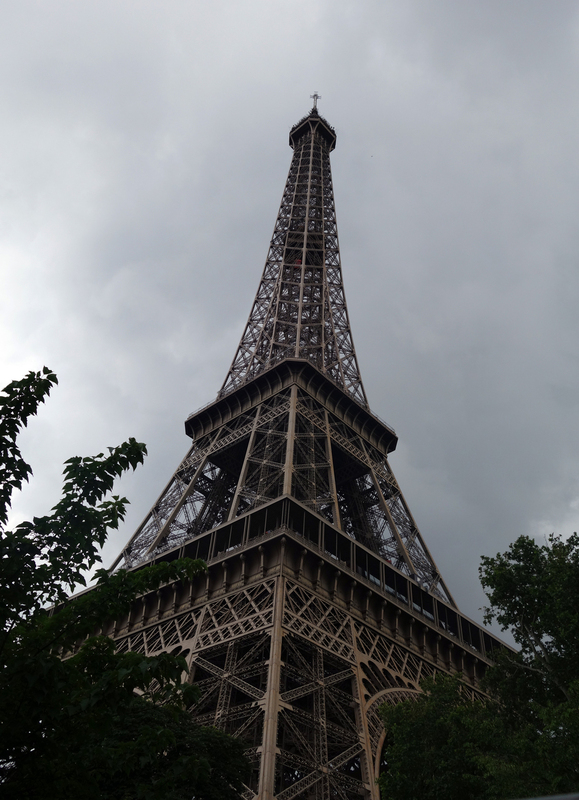 On Day 24, we went to Paris! We had wanted to catch the 9:46am train, but when we got to the station it was canceled due to the strikes so we had to wait around for an hour to catch the 10:46am one. Due to all the transit and weather issues, we all decided to stay overnight - I was coming back the next day, Ariel was staying another, and Melanie for yet another! 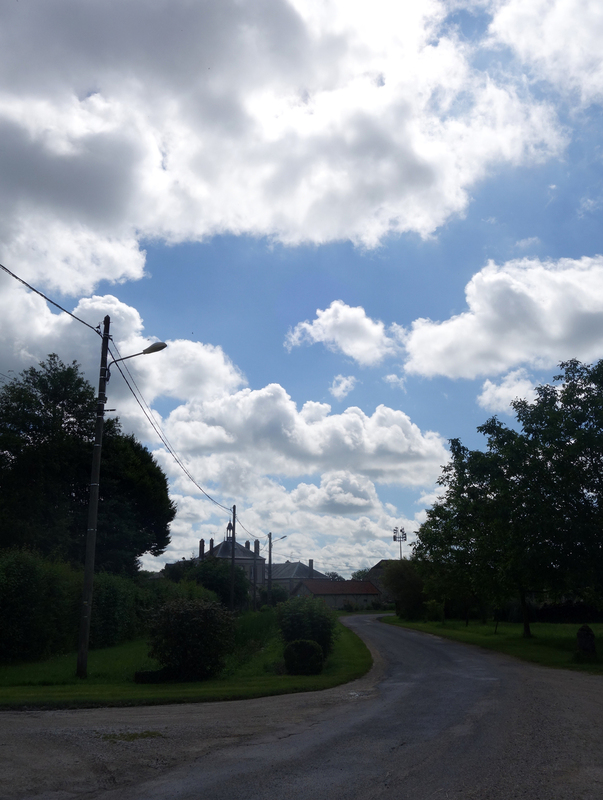 We arrived around noon, and the weather was cold with occasional bouts of rain. Melanie and Ariel had to go to a photo processing shop, so we decided to all meet up for drinks at 5pm. I wanted to just wander around a section of the city I'd read had interesting concept stores and a vegan burger bar, so I went there. It was nice to walk around a big city again - it made me nostalgic for when I lived in New York City - but the weather was irregular and the store prices were all very high, and the Airbnb I booked had a check-in at 3pm so I basically poked my head into a few shops, ate a very nice vegan burger and fries, and then tried to figure out where I was staying. I ended up getting a little lost but eventually found the place which while centrally located was itself on a mildly sketchy side street. While I waited for the hostess to come let me in, a guy who presumably lived in a complex next to her building yelled at me in French and seemed like he wanted to fight but I just answered that I didn't speak French and ignored him. He kept yelling and I got the sense it was quite nasty, but since I had no real reaction given that I wasn't actually sure what he was saying, he got bored and wandered off to engage a more responsive audience elsewhere. My hostess then came down and got me, and once in her apartment it was really airy and nice. I dropped off some of my stuff (I didn't need to schlep my toothbrush around for the evening) and went off to meet the other artists. Both their boyfriends happened to be able to be there as well, so it was a nice opportunity to get to know each other better. 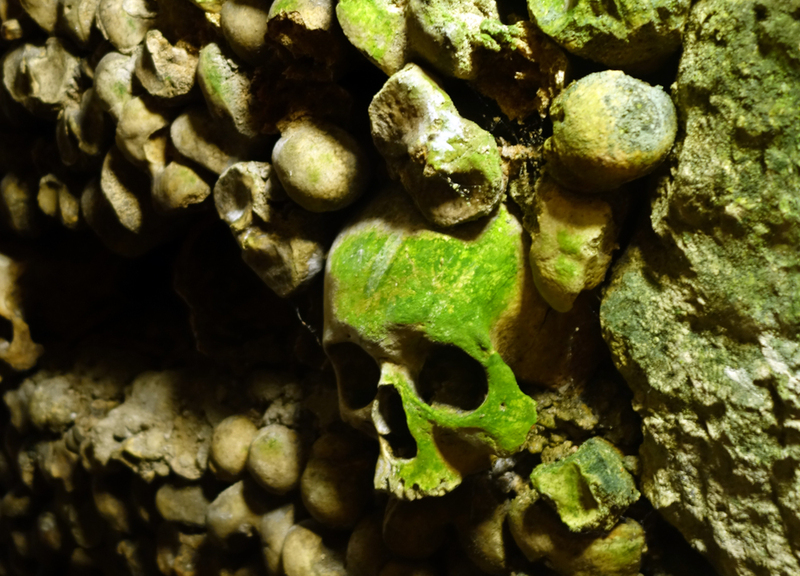 The following day I decided to visit the Catacombs. I had been torn as to whether I wanted to commit to doing so, which meant I didn't buy tickets in advance. I therefore had to pay my penance, which was waiting in line for 2 hours. 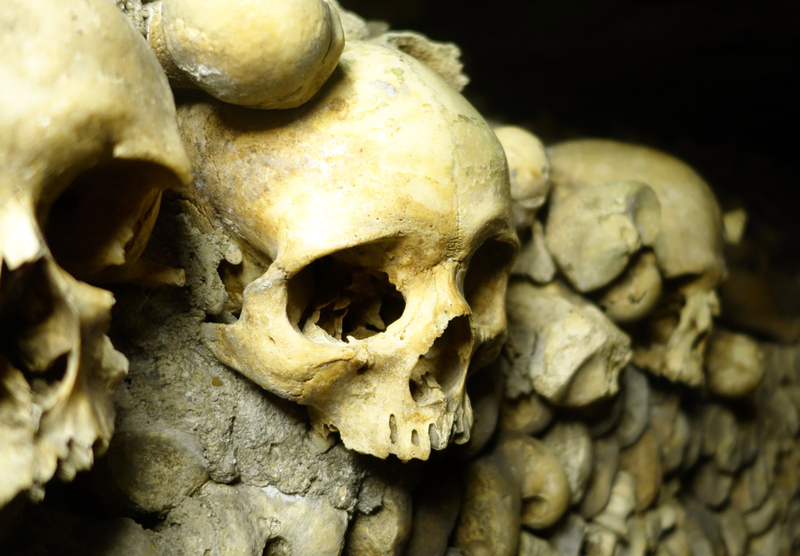 It was very interesting, though, once I got inside and after climbing down 130 stairs, walking the 1.2 miles of mine shaft and ossuary, and then climbing back up 83 stairs, I felt like I got a workout in! 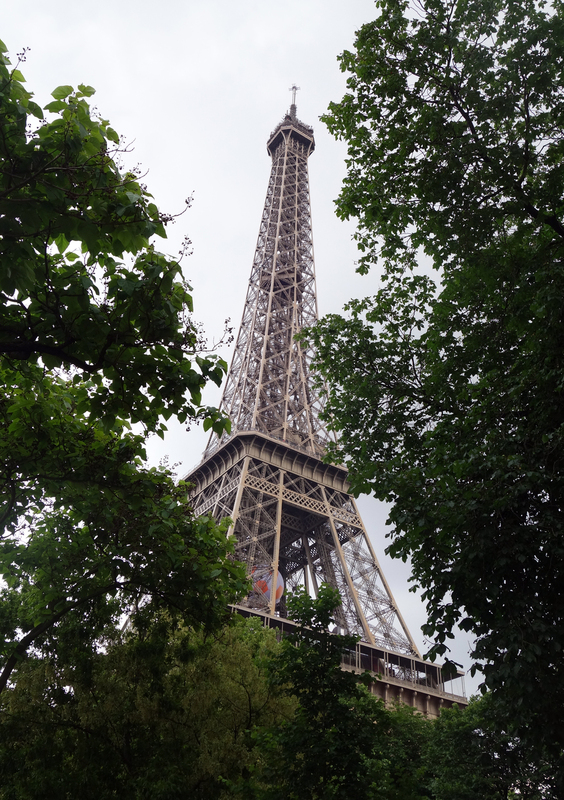 I then had lunch at a nearby restaurant, followed by a street crepe, and then I decided that I wanted to see the Eiffel Tower again so I rode the Metro over to it. The Eurocup 2016 is going on this month, and there were a ton of British and Polish fans milling about on the way to the tower. And then I saw - the tower itself had a big inflatable soccer ball hung inside to celebrate as well. After I walked to and from the tower I rode back to the Airbnb, picked up the rest of my stuff, and then went back to Marnay. The next two days were entirely devoted to working in the studio. Day 28 was the Fête de la Musique - an annual event celebrating music. I worked in the studio in the morning, but in the evening we all went over to the fête. I made popcorn on the cooktop then added some salt and brought this along with a bottle of wine; the popcorn was a huge hit. I'd previously tried some other dishes, but I now understood the French way of slowly picking at things over the course of several hours so bringing something that stays tasty and is easily sharable yet also not brought by others is the way to go. Ariel and her father Adrian played the guitar and sang a couple songs, and Erica sang a solo, a CAMAC artist did a poetry reading in Mandarin which was then laboriously translated into French by way of English, and a local resident named Cecil DJed. Group songs were also sung by a number of the townspeople, and there was a fair amount of dancing. A little girl gave me some leaves to put in my hair, which I did, and Patricia was so enamored of how it looked on me that she decided we'd all wear the leaves at our reception a few days later. The next two days were again completely focused on studio work. Then it was our exhibition day! It felt like it came so fast; I had been working on the door this whole time and we finally installed it the morning of the exhibition. It was nice to have it back in its home again. I spent the day hurrying up and waiting; getting my pieces ready to go but having to wait for the space they were to be installed in to clean up, for instance. Everyone (particularly Guillon, Patricia, and Kinga) was really kind in helping me set up. By 4pm, everything was installed and we all went back to gather the special leaves to put in our hair, clean up, and get dressed. The exhibition opened at 6pm, and Didiot gave a speech. It went well, and Mathilde even bought five of my greeting cards to frame and hang in her properties! I will make a separate post with images from the exhibition.